This is the one I went with. It was recommended to me (unfortunately I don't remember by who), and it made the sound a bit more dynamic, and improve bass response. Back then, there were a couple more recommended to me as alternatives to try, but there is no way I am finding that conversation. There are more cap brands/models recommended by others that I want to try. Regarding opening the box, there's one more thing to add about the gold color buttons, they are loose, they are not fixed to any place and will fall. If you open the box, with the buttons side up and slide the LCD screen out into the buttons direction, the buttons will fall inside the box into the LCD and scratch it. So never slide the LCD screen out of the box in the direction of the golden buttons, the boards must go out slowly in the other direction. Also have the buttons side facing down, so they don't fall into the board and scratch it. This problem was reported by some users and is a great warning for all of us. They are 8mm and I want to use something smaller. EDIT: Need to find smaller size and capacity to put here, the ones I suggested were also too big. 2 in parallel for each side, for a total of 2x220uF = 440uF each side. Stock value was 100uF each side and the datasheet recommends 2200uf each side, but we can't fit that size here. I decided on those you see in the last photo because of small size, it's a compromise for size/capacity/price. We need 6.3 V, low ESR, high capacity, up to 2200uF is recommend in the datasheet. I was already happy with 1000uF, but used lower capacity (2x220uF = 440uF each side) because of size/price. If you have space inside the box, Ivan recommends better options, because of higher capacity. There are a few more posts after the one I quote. PochoLaPantera, endia, DBaldock9 and 2 others like this. is the side where the white box underneath it gets bolder the - side or is that the +? I always double check the PCB paint, with the position of capacitor that was soldered in there and the meaning of it's polarity markings. In non solid electrolytic capacitors the line/mark in the capacitor identifies the negative - capacitor side. In solid electrolytic capacitors the line/mark in the capacitor identifies the positive + side. So in the photo I posted the white line in the stock solid capacitor is the positive (+) PCB pad. Note: With circuit power on, we can also use a multimeter to find the voltage polarity at the caps legs. Please keep the discussion focused on the Zishan DSD and not one another. Thank you, everyone. Draknodd, Ivan TT and HeyManslowdown97 like this. #5. Replace LPF opamps. This one is tricky as there's too many options (from cheap to VERY expensive) and this will require desoldering/soldering in 4 capacitors that are placed on top of LPF opamps in addition to the opamps themsleves. I would try reseacrhing what people say about these: AD823, AD8599, OP275 (genuine/original) AD8620, OPA1688 and check what is within your budget too. I'm sure some other forum members will add their recommendations as well. Or do what I did and remove LPF circuit altogether, no need to buy expensive opamps, problem solved! I think he's talking about the 100uF electrolytic audio series pass capacitors, between the DAC chip and the LPF op-amps. They're the large ones that are laying down over the OP275 op-amps. what happend if using 220uf or 470uf in this case ? what happend to the sq ? HeyManslowdown97 and DBaldock9 like this. Off the top of my head they are 100uF 10V caps. So based on this I don't believe increasing the value would improve anything sound quality wise. Also, I believe 6.3V caps could be used here as AK4497 output is well below that voltage. Themilkman46290 and DBaldock9 like this. would you repost your Mod List that has been deleted on page 152 ? I just want to try other parts than can bring more detail. I can see the "future"
yess, why it's on page 149 ? it was #2276 page 152. While the Thread was locked, several pages worth of off-topic posts were purged. The article refers to 2N5484 / 2N5486 devices, but the TO-92 package style is obsolete now, having been replaced by the SOT-23 package (MMBF5484 / MMBF5486) transistors. to provide Class A biasing for your op-amps? 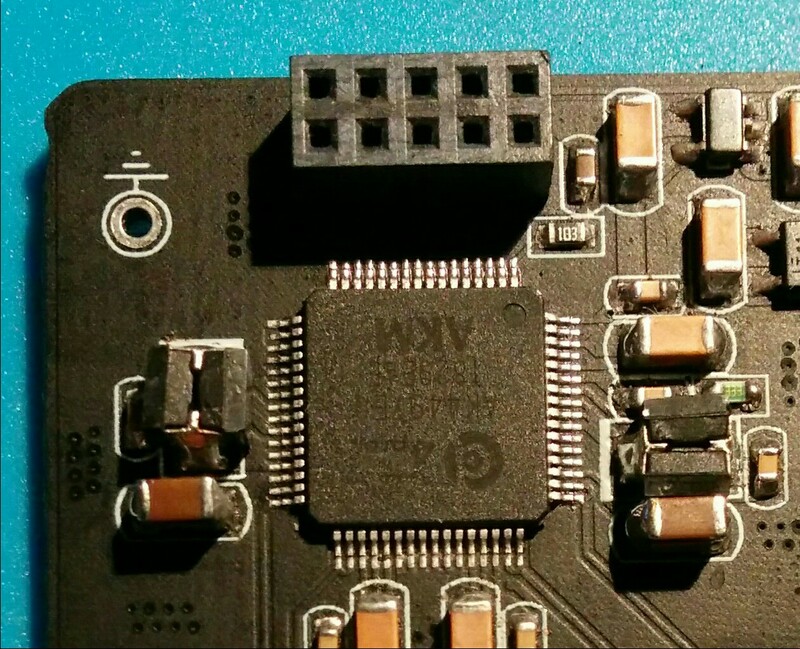 Out of curiosity, what is the size of the footprint for the DAC VREF capacitors (the ones where you used 2x 220uF)?